Our aim is to provide the money your business needs quickly and with the minimum of fuss. By quickly verifying your details and analysing your credit profile, we waste no time seeing if we can make you an offer. You can relax knowing our security technology ensures the confidentiality and safety of your information. You can apply for a 1 to 5-year business loan from £5-150k in just 10 minutes, with no hassle. Apply; We’ve made the application process simple, safe and hassle-free, with no paperwork to fill in. It takes just 10 minutes to apply for your business loan, and our decision won’t have an impact on your personal credit score. Get approved; The clever tech behind Esme helps us to assess your application quickly, so we waste no time seeing if we can make you an offer. We show you how much the business loan is going to cost you. Competitive rates, no hidden fees, simple terms. Receive funds; We can send money within an hour, so you should receive your funds on the same day if your account can receive faster payments. You can manage your account anytime, anywhere, and repay all or part of your loan early if it suits you with no extra fees. To get an Esme business loan you’ll need to be a director of a business, over 18 and able to provide a personal guarantee for the loan. Your company must be registered in the UK and actively trading (we may require a board resolution). You’ll need at least 18 months trading history, with a current annual turnover of at least £15,000. 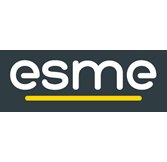 Esme is a new company with an innovative approach to business loans, owned and backed by NatWest. Collectively our team has over 100 years’ experience in financial services, so when it comes to lending to UK businesses, you can be sure that you’re working with professionals. Our priorities are you and helping your business to grow. We are ready to answer your questions so that you can focus on what’s important for your business. Our mission is to re-define lending, to give you back time for your business. We do this through offering a straight forward application process, quick decisions and fast funding. Structure your repayments to suit your business. Loan interest rates are linked to Base rate. Indicative rates provided are based on a next day draw down, depending on when quote requested in the month may impact interest cut off dates.